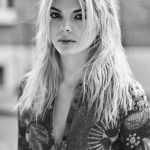 In 2015, Louisa Johnson became the youngest ever winner of The X Factor UK at just 17 years old. Louisa wowed the judges with her rendition of The Jackson’s 5 ‘Who’s Lovin’ You’ in her first audition, receiving a standing ovation from the whole room. Mentored by Rita Ora, Louisa triumphed in the competition with her incredible vocal performances on songs including Michael Jackson’s ‘Billy Jean’, Aretha Franklin’s ‘Respect’ and James Bay’s ‘Let It Go.’ Currently working on her debut album, this is set to be the start of something special for Louisa. Since winning the show, the now 20 year old Louisa has been working on her upcoming album with superstar writers including Camille Purcell (Little Mix, Jessie J, Ella Henderson and Fleur East), Julian Bunetta (Leona Lewis, One Direction and Fifth Harmony), John Ryan (Pitbull, One Direction, Olly Murs, Jason Derulo), Jamie Scott (One Direction, Nicole Sherzinger, The Vamps, Michael Kiwanuka), Electric, MNEK and Eman. Some might be surprised by what’s to come, with some big up-tempo tracks, soulful pop anthems and amazing collaborations on the record, Louisa is set to be not only a stand-out success in the UK but also a big global superstar. The album is due for release later this year. Louisa features on the new Clean Bandit hit single ‘Tears’ released in May 2016. With over 35 million Spotify streams, 22 million videos views and a top 5 chart and airplay position, Louisa already has huge success under her belt. Her debut single 'So Good' was released on the 28th October 2016 and reached #5 on the iTunes Chart. She released her debut solo music video for the single which has over 9 million views. The video was shot by Emil Nava who has previously worked on artists such as Calvin Harris, Rihanna and Jessie J. Throughout 2017, Louisa was an ambassador for L'Oreal alongside Helen Mirren and Cheryl Cole. She was the face of Colourista and L'Oreal Paris' Infallible Paint Range. She was also an ambassador for the #AllWorthIt Campaign for the Princes Trust. She then released her 2nd solo single, 'Best Behaviour' and in summer 2018 her collaboration with Olly Murs on his album track, 'Unpredictable', was released.